Furdiki Sherpa and Nima Doma Sherpa hail from the Himalayan people revered for their skill at high altitudes as climbing guides, but as it is traditionally a male domain neither dreamed of reaching Everest themselves -- until now. KATHMANDU: For generations, climbing has been firmly the realm of men among the legendary Sherpas of Nepal, tradition dictating women care for the home while their husbands conquer the Himalayan peaks. But that convention is being challenged by two Sherpa women attempting to summit Everest and force a rethink about the role of widows in their conservative community after their husbands died on the world’s highest mountain. Furdiki Sherpa and Nima Doma Sherpa hail from the Himalayan people revered for their skill at high altitudes as climbing guides. Neither woman ever dreamed of making an expedition to the roof of the world themselves. But that is exactly what they are preparing to do when the short spring climbing season gets underway in April. “The men climb. We had other things to do. I was running a tea house and taking care of my family. I didn’t think about climbing the mountains,” Furdiki told. That changed in 2013 when she lost her husband to the mountain as he fixed ropes along the route that aid climbers to the summit. “After our husbands passed away, we spent months just crying at home over their memories. But we had to take care of our family and ourselves. It was not easy to do this as a widow,” said Nima Doma. In need of work, the pair sought jobs as trekking guides in the capital Kathmandu and often crossed paths as they lit lamps at a local Buddhist stupa for their deceased husbands. “We started sharing our stories, our grief, and what we should do in life,” Furdiki said. After helping guide some amateur treks the women embarked on serious mountaineering training and soon plans to summit Everest took shape. In November, they successfully climbed Island Peak and Chulu Far East Peak, both difficult ascents over 6,000 meters. “They grew up in the mountains,” said Ang Tshering Lama, whose Angs Himalayan Adventure company is organizing their ‘Two Widow Expedition’ to Everest. 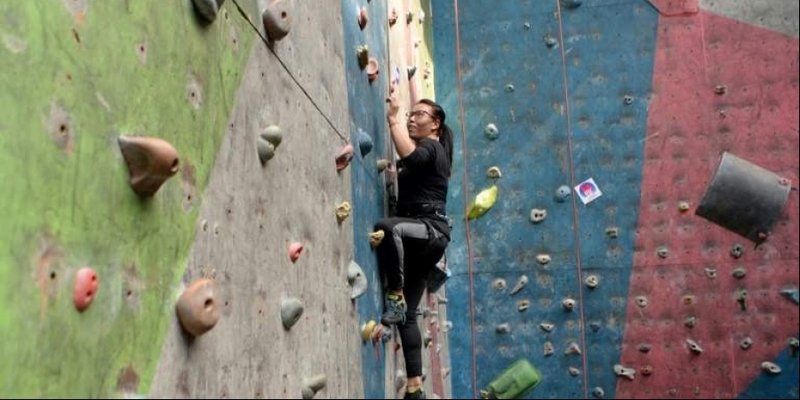 As climbers, they are very strong and determined.” Their Everest dream comes as attitudes toward women and climbing are slowly changing in the overwhelmingly male-dominated industry. Last season 18 women reached the top of Everest — towering over the world at 8,848-metre — a record number, according to Nepal’s department of tourism. Women trekking guides are more popular than ever but they are still vastly outnumbered on Everest — and Sherpa women even more so. Close to 4,000 Sherpa men have ascended the peak, according to the reputable Himalayan Database, compared to just 34 women from the legendary ethnic group. Professional climber Lhakpa Sherpa, 44, is the best known having topped Everest nine times, but she remains very much an anomaly. “Women are rarely encouraged to take up climbing,” said Dawa Yangzum Sherpa, the only internationally certified female mountaineering guide in Nepal. Sherpa society, like many ethnic groups in Nepal, is conservative and patriarchal. Wives and daughters are expected to keep the home fires burning while the men climb mountains. But many die in the process. The Himalayan Database estimates that as many as one-third of all Everest deaths have been Sherpas, leaving women to raise and run households despite the loss of the main breadwinner. “It is difficult and confusing for them. They are usually dependent on their husbands and not educated. And suddenly they are faced with the responsibility of taking care of the family,” said Tsering Dolker Sherpa of the Juniper Fund, a non-profit that works with families of deceased mountain workers, For women left to pick up the pieces, their grief and struggle is compounded by their newfound status as widows, one that carries stigma. In some parts, widows are considered bad luck and ostracised. “Furdiki and Nima Doma are fighting a double challenge stepping into this industry– as women and as widows,” said Dawa Yangzum Sherpa, the female professional guide. 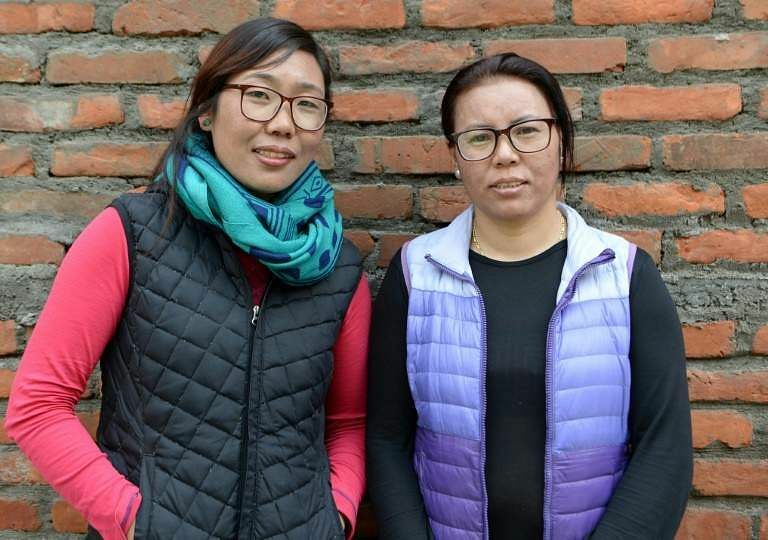 The pair said meeting other Sherpa widows who endured discrimination has strengthened their resolve to reach the summit. “We want to climb Everest with a message for widows and single women. We are not less than anyone, we are capable of achieving anything,” Nima Doma said.